The former Rain or Shine guard’s heart is overflowing with gratitude. Happy Lemon part-owner Chris Tiu went all out in honoring the people behind his successful run as a basketball player. Among them was Coach Norman Black, his coach during his last playing years at the Ateneo De Manila University and the 2011 SEA Games. Chris ended his 6-year professional basketball career early January to become a full-time businessman. This is the start of a series of tribute posts to my former basketball coaches who have guided and influenced me, more than they know it. I thought of sharing this publicly because coaches and leaders play such an important role in our lives not only by teaching skills and providing opportunities but more so by imparting good values validated by their example. I suppose this is also a suitable time to thank them because I never got the chance to show my appreciation. 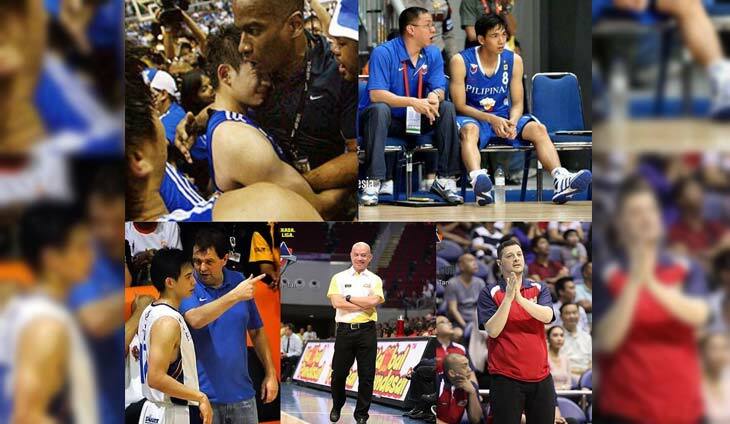 Clockwise: Coach Norman Black, Sandy Arespacochaga, Caloy Garcia, Yeng Guiao, Räjkö Törömän. Continuation of my tribute to my coaches throughout my career.. Coach Rajko Toroman was like a father to me, more like a grandfather actually. He invited me to be part of the first Gilas Pilipinas program right after I graduated from Ateneo, where I played for 3+ years. I was very fortunate because his European system (lots of screens and quick movement without the ball) allowed me to thrive , since I am not a talented 1-on-1 player. His basketball sense was so high, I learned so much from him. The PH was blessed to have him. He loved our country & we shared the same passion for basketball. He lived & breathed bball. He knew everything about college & amateur leagues & every other league around the world. He taught us toughness, discipline & teamwork, in the true sense of the word. We were forbidden to be 1 minute late from call time & he would always arrive before us. One time in China, I woke up late bec I took meds for colds & missed my alarm & they had to call our room w/ Marcio. I was shaking and sweating, not from the flu but from fear. Even during weights sessions, he was always present. When abroad, he required us to gather outside the dining hall 5 mins before meal time, then walk in all at the same time, eat together and leave together. I guess that’s why we all developed such a strong bond. Nap time was strictly for nap and we had curfew. One time in Serbia, we players went to a bar w/o permission, thinking it was ok cause we were all together. Next thing we knew, Coach Räjkö was at the bar, fuming. We were shaking in fear. We had the highest quality practice the next day & no one smiled or spoke a word 😂 Thank you Coach Räjkö for pushing me to my limits! You gave me confidence & countless opportunities. You made me a tougher person and I’m honoured to have been your captain! All the best coach! The Rain or Shine guard is one grateful dad.